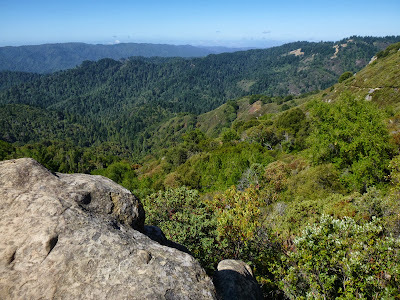 Five and 1/2 miles of incredible, varied scenery (woods, chaparral, and rock formations) in the Santa Cruz Mountains. Black oak leaves are putting on a gorgeous autumn show and the temperature is perfect. I could hike at Castle Rock weekly without getting bored. After winter storms Castle Rock Falls is at its best. Late winter features aromatic blooming manzanita and ceanothus shrubs. Wildflowers bloom in the woods and chaparral through summer. It's just incredible all year. Gunshots from the nearby Los Altos Rod and Gun Club may not thrill you. Plan a hike when they are closed (currently they are open Thursday-Sunday). 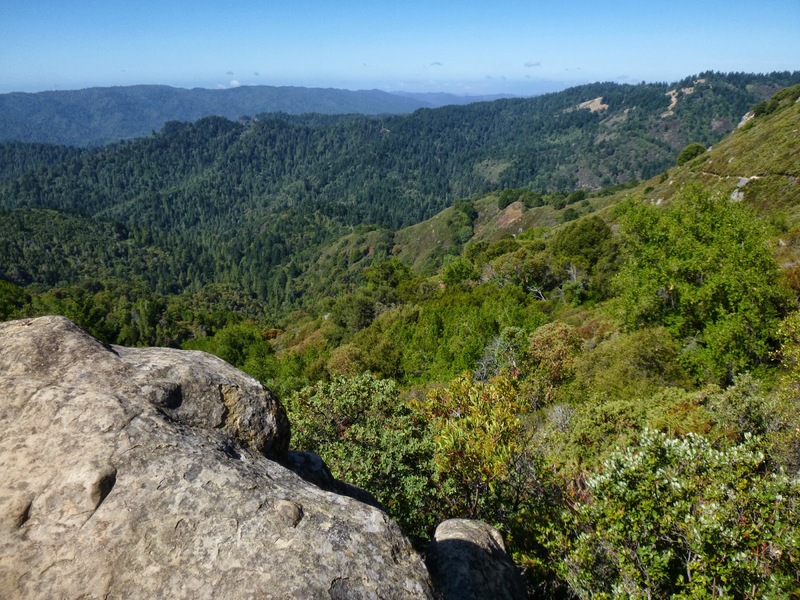 Castle Rock State Park is hike 39 in 60 Hikes in 60 Miles: San Francisco (third edition). Read about this hike on BAHiker. Hike to Balancing Rock at Mount Diablo. During their autumn mating season you may see tarantulas in many East Bay parks and preserves, but Mount Diablo is my go-to tarantula spot. Hopefully many tarantulas survived the Morgan Fire -- you will see the after affects from the fire on this part of the mountain.